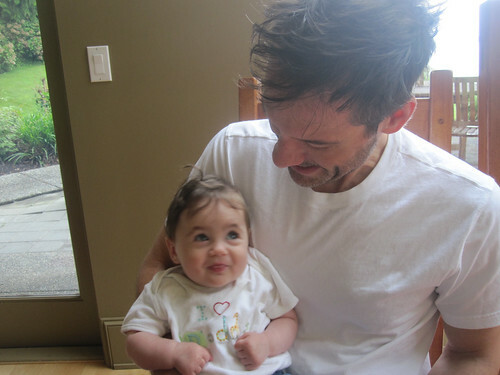 My first Father’s Day with Eva. Gay and the kids made me breakfast in bed, but I was already up and dressed by the time they got to the room. They made me a Bloody Mary with the Bakon Vodka that is so disgusting on its own that it can only be put in a Bloody Mary. I got an electric razor and a book to read to Eva, but it’s a book that should be read to all of the kids.